Fall is here and that means something different to a lot of people. For us, that means lots of baking and homemade goodies being prepared in our home. We recently made Festive Harvest Cupcakes using the Pillsbury™ Moist Supreme® Caramel Apple Cake Mix to make cupcakes. 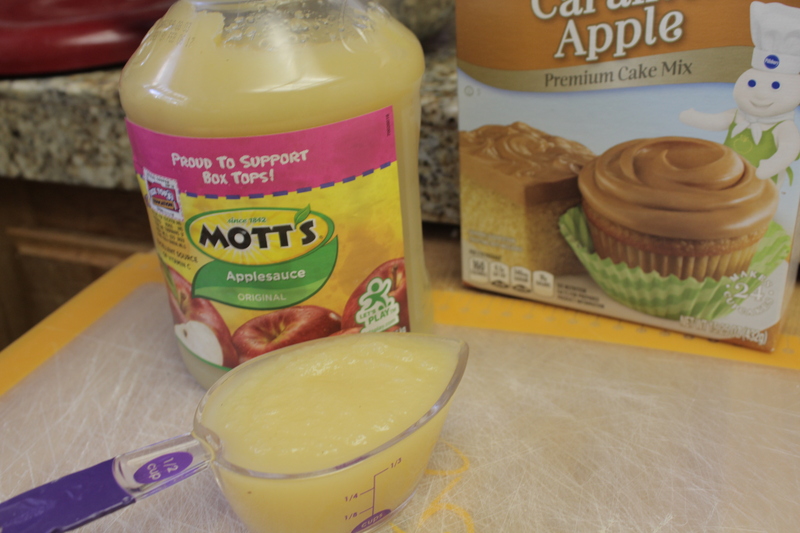 We used Mott’s® Applesauce in the recipe instead of oil – giving it even more of that fresh apple taste! We then topped our cupcakes with the Pillsbury™ Supreme Creamy® Cream Cheese Seasonal Frosting and M&M’s® Pecan Pie variety. 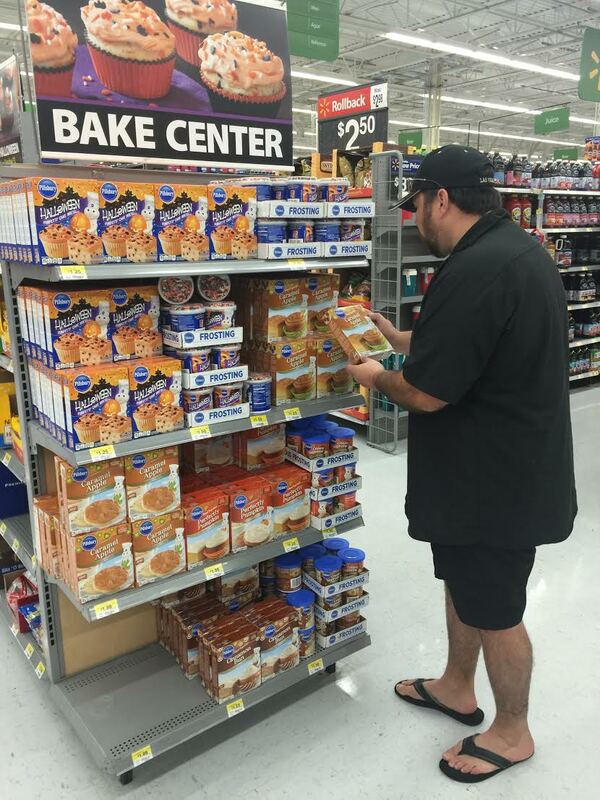 Before we did that, we headed to Walmart to pick up our goodies! 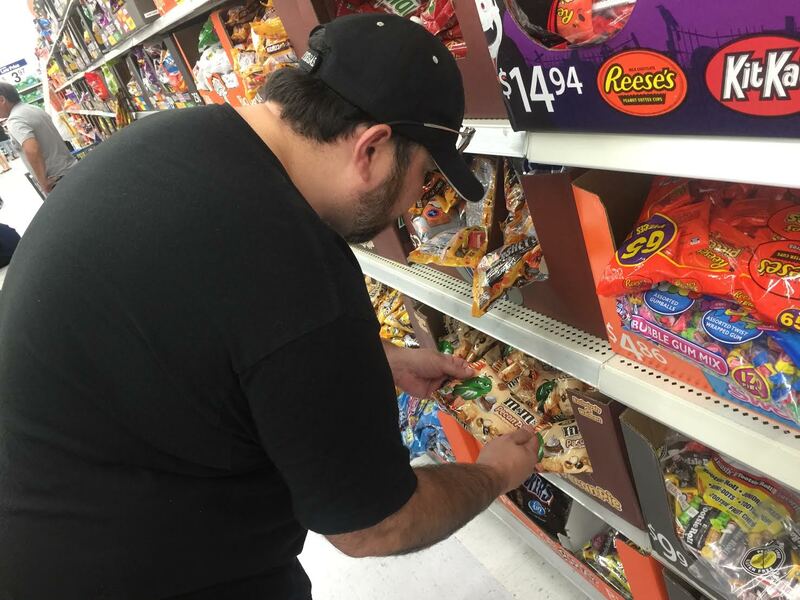 We found the M&M’s® Pecan Pie variety with all of the Halloween Candy in the seasonal section of the store. We found the Pillsbury™ Moist Supreme® Caramel Apple Cake Mix and the Pillsbury™ Supreme Creamy® Cream Cheese Seasonal Frosting in the middle of the aisle in the Baking Center. They had lots of different baking goodies and decorations there as well. If you haven’t already, you should definitely check out the MARS Bake in the Fun Sweepstakes. When you enter, you enter to win a KitchenAid Mixer! Pretty cool, right? When we got home, it was time to make and decorate our Festive Harvest Cupcakes! Here’s how to make them. 1 – Open cake mix and pour into a mixing bowl. Add 1 cup water, 1/2 cup applesauce (in place of the oil) and 3 eggs. 2 – Mix on low until blended. Once blended, mix on high speed for 2 minutes. Use scraper to mix any powder at bottom and turn on again for a few seconds. 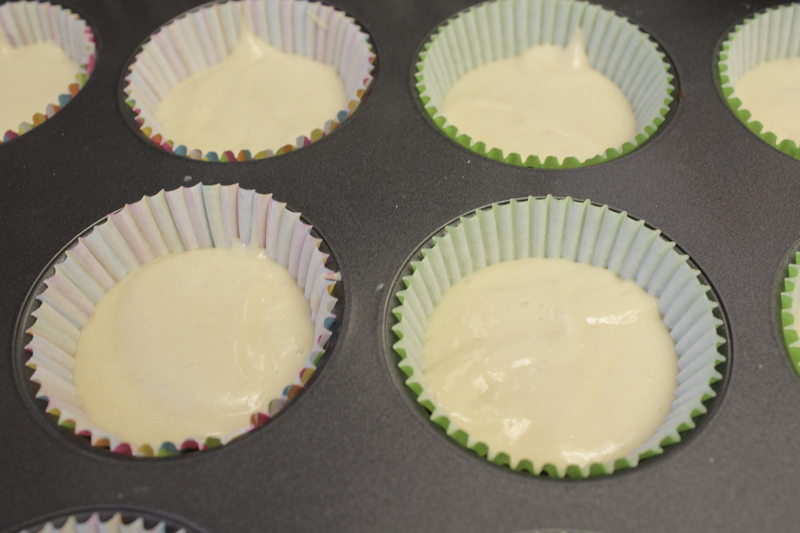 3 – Place festive baking cups in a cupcake pan. 4 – Use a scoop to drop cake batter into cupcake cups. 5 – Preheat oven to 325°F and bake for 20 minutes. 6 – Once cupcakes are done, pull them out of the oven and let cool. 7 – Take a plastic baggie or decorating bag and place desired cake tip inside (this is for swirled look of frosting). Cut off tip of bag and put frosting into bag. 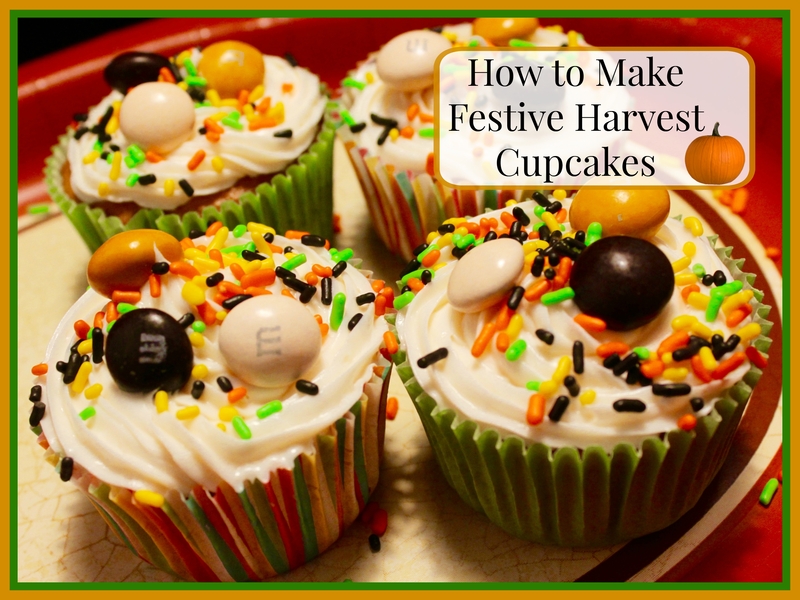 8 – Decorate cupcakes with frosting, M&M’s® Pecan Pie Variety and some Halloween Sprinkles. 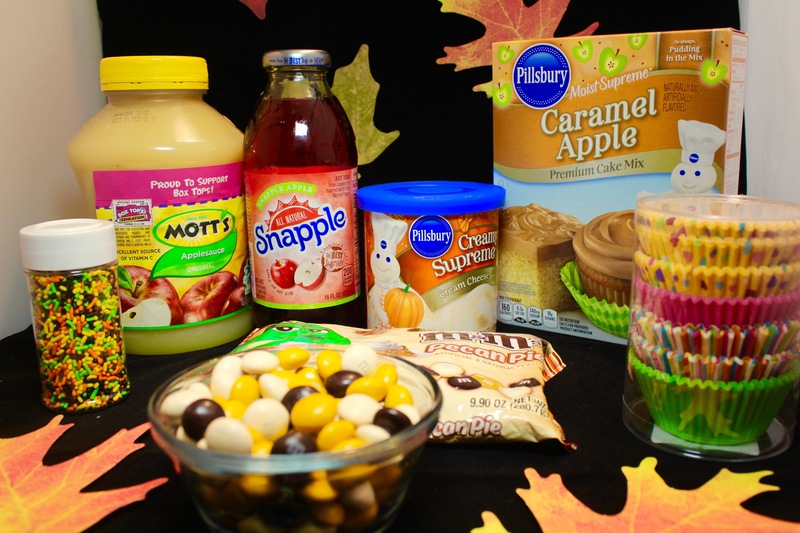 9 – Serve with a glass of Snapple® Apple Juice. Be sure to check out other great MARS Harvest recipe ideas. I’d love to hear about your new favorite recipe! Nice fall recipe. Would taste yummy.